UniqueHR offers a number of Human Resource services for companies and employees in the San Antonio area, and produce on-site and online Human Resource Training programs. We create custom employee handbooks and procedures for each company. We provide verifications including the Department of Human Services, Attorney General, Social Security Administration, and more. In addition to these services, we also handle background checks, employee status changes, and pre-employment screenings. San Antonio is the seventh most populated city in the United States, and the second largest in the state of Texas. There are many things to do in San Antonio, but they are known for the San Antonio River Walk and the Alamo. They are also known for their Tex-Mex food, and the NBA champion San Antonio Spurs. San Antonio is located in South of Austin, and approximately 200 miles from the Mexico border. A PEO, professional employer organization, specializes in working with small and medium-sized businesses to provide HR services which include: payroll, benefits, tax administration, workers compensation, and more. This is done through a co-employment relationship and provides an integrated approach to HR solutions. NAPEO’s White Papers reports “businesses in a PEO arrangement grow 7-9 percent faster… and are 50 percent likely to go out of business.” By outsourcing administrative and employment responsibilities, companies and business owners are able to focus more of their time on their core business responsibilities. UniqueHR is NAPEO certified and has helped many businesses with their human resources needs. We hope to be your trusted PEO in San Antonio. Our Benefits Administration offerings in San Antonio include Major Medical Group Health Insurance, Dental Care, Vision Care, and Health Savings Accounts. We also offer life insurance, short term and long term disability. Healthcare regulations are constantly changing and it’s hard to keep up. Unique HR uses their experience to help shoulder your compliance burdens, stem the paperwork tide and reduce the risk of noncompliance. UniqueHR clients have the added value of turning to Unique Employment Services for a cost-effective manpower solution for their direct hire, executive search, and temporary hiring needs. Our staffing agency has been serving South Texas with excellence for nearly four decades. UniqueHR can help you with all your staffing needs in San Antonio. We work hard to provide individuals with the best employment opportunities available. UniqueHR’s payroll services include preparation of payroll, payroll registers and billing reports for San Antonio area companies. We offer secure web-based time reporting, online access to earning reports, and year end W-2 forms. We complete the processing of wage garnishments and wage assignments. We prepare job costs and certified payrolls at no additional charge. We also provide a shift in liability for all state and federal tax compliance and reporting. Q: DO I NEED TO KEEP TIME RECORDS? A: Yes, the U.S. Department of Labor requires time records to be kept for at least three years to verify employees have been compensated at least at the minimum wage. 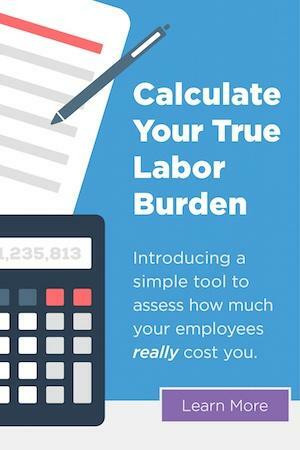 Ask us for a payroll worksheet, if needed to comply. Q: I’M PAID ON SALARY. DOES THIS MEAN I AM EXEMPT FROM OVERTIME? A: No. The manner in which an employee is paid does not determine exemption from overtime. The employee’s job description determines exemption status. Q: DO I HAVE TO PAY OVERTIME IF I HAVE AN AGREEMENT WITH MY EMPLOYEES? A: Yes. The Department of Labor does not recognize agreements that are contrary to the United States Fair Labor Standards Act. The law states that employees must be paid at one and one-half times their regular rate of pay for hours worked over 40 hours in a seven day period regardless of the total hours worked in a bi-weekly, semi- monthly or monthly pay period. The employer may choose the seven-day period as long as it remains consistent. Q: I PAY MY NON-EXEMPT EMPLOYEES COMMISSION OR PIECEWORK. DO I HAVE TO PAY OVERTIME? A: Yes. Non-exempt employees paid on a basis other than hourly are entitled to overtime pay. Note that regular hours and overtime hours need to be reported as a part of payroll. Q: CAN I HOLD AN EMPLOYEE’S PAYCHECK BECAUSE OF THEFT? A: No. Wages cannot be held because an employee is suspected of theft. The law considers the suspected theft as a separate matter that must be pursued through the court system. Q: CAN I TERMINATE AN EMPLOYEE WHO IS ON WORKERS’ COMPENSATION FOR AN ON-THE-JOB INJURY AND IS TAKING TIME OFF UNDER THE FAMILY AND MEDICAL LEAVE ACT (FMLA)? A: No, termination under this circumstances is strictly prohibited by state & federal law. FMLA can take effect with as little as three-day absence. Q: DO I HAVE TO PROVIDE BREAKS? A: No. The Fair Labor Standards Act does not require employers to give breaks. However, if breaks are given, rest breaks of twenty (20) minutes or less must be compensated. Uninterrupted lunch breaks of at least thirty (30) minutes need not be compensated. Certain state laws may be more stringent. We encourage you to contact the Wage and Hour Board for specific state requirements. Q: WHAT IS THE MINIMUM AGE FOR AN EMPLOYEE? A: 14 years of age. Minors under the age of 18 can work in non-hazardous occupations, determined by the Secretary of Labor, with certain restrictions. These restrictions generally prohibit a minor from operating power driven machinery as part of their job duties. Many states also restrict the permissible hours of work for minors. Violations of child labor laws can result in fines of up to $10,000 per violation. Please contact the Wage and Hour Board for any clarifications you need. Q: WHAT SHOULD I DO IF THE DEPARTMENT OF LABOR INITIATES AN INVESTIGATION OF MY COMPANY? A: You will be asked to supply each employee’s name, physical address, Social Security number, hire and termination dates, and I-9 and payroll records. Please contact our Human Resource Department for help with these matters. Q: HOW DOES AN EMPLOYEE CHANGE HIS TAX FILING STATUS, NAME OR ADDRESS? A: The employee must fill out a new W-4 and submit it to the UniqueHR’s Human Resources Department. A W-4 form may also be downloaded from the IRS website at www.irs.gov or from the UniqueHR website. A PAYCHECK HAS BEEN LOST OR STOLEN. WHAT IS THE PROCEDURE FOR GETTING IT REPLACED? A: Report the information to the Payroll Department on a Lost Check. It may take an additional three (3) business days to process the stop payment and reissue a check for the employee. We must pass on the charge of $25 from our bank on all stop payment orders.